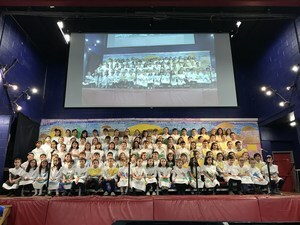 On Sunday, HAFTR’s second grade students received their first chumashim. 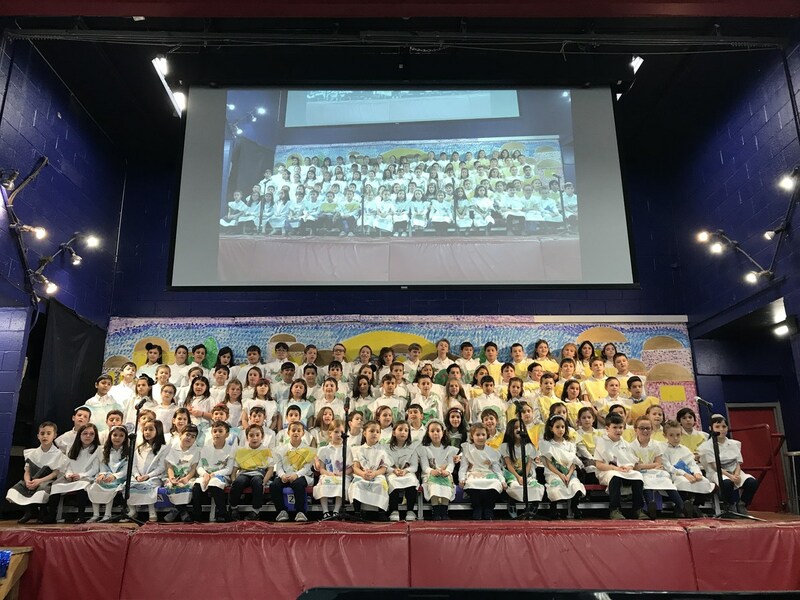 Almost one hundred students proudly performed songs that highlighted their love of Torah and their pride in becoming the next generation of talmedei chachomim. Students recited pesukim from Parshat Bereishit that they are sure to remember for years to come. The students were beaming with pride as they received their new sefer engraved with their name. Together students excitedly recited a shehechiyanu and held their chumashim for all to see. The celebration continued as students and their families engaged in interactive activities set up by their creative teachers. The students personalized chumash covers, decorated picture frames which had their professional photo inserted, sang songs and recited brachot as they noshed on treats. They also played a Torah game using iPads, recorded in writing their thoughts about this special day and looked inside a Sefer Torah for the very first time. It was a heartfelt and festive occasion that will linger in the minds and hearts of our children and their families. Thank you to all the families who helped sponsor the event. May we continue to have nachat from our children and grandchildren. After returning to school on Monday, second grade students were treated to the Tzivos Hashem Sefer Torah Workshop. Students learned about the intricate process of writing a Sefer Torah. They helped sand the קלף and mix the special ink. Each student used a קלמוס to write his or her name using כתב אשורית which are the Torah letters. Students were impressed by their ability to write so beautifully.